MetroLink is helping Kyle get one step closer to one day becoming a graphic designer. Kyle relies on MetroLink every week to get him to and from school. He usually starts his commute by boarding a Red Line train at the Fairview Heights MetroLink Station and riding to the College MetroLink Station. Kyle is a freshman art student at Southwestern Illinois College in Belleville, located a few steps from the College MetroLink Station. Kyle has been riding Metro since the fall of last year when he tried transit for the first time to see if it was “easy” and see how it could help him save gas. 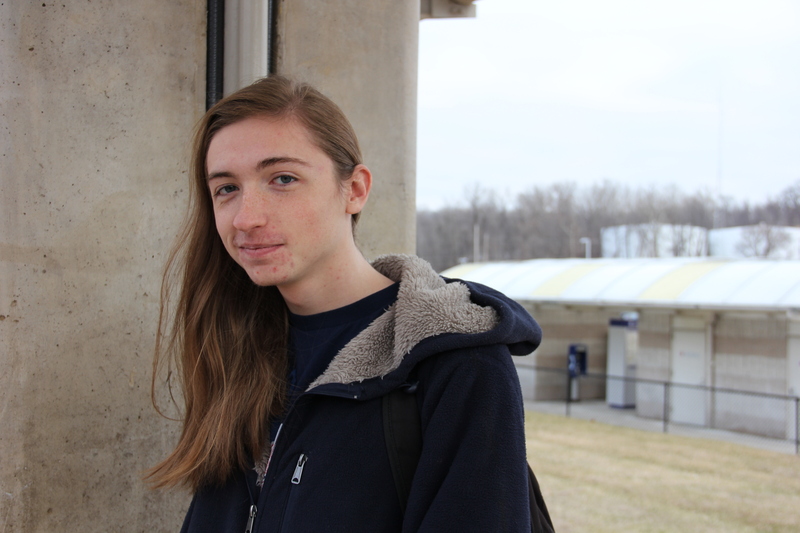 Today, MetroLink is Kyle’s primary mode of transportation to school, and riding the train gives him the added benefit of time to fit in any last minute studying. Southwestern Illinois College is part of Metro’s U-Pass program, a program where local colleges and universities pay for all or part of transit passes for students. Other area universities that are part of the U-Pass program include the University of Missouri-St. Louis, Washington University and Webster University.